Struck down by the Saturday night fever, there’s a big chance you need some proper disco music while dancing under the glitter balls. 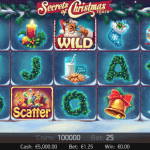 If so, you can leave the house and try to find a setting as described, but you can also choose to play Disco Spins, another amazingly designed video slot by net Entertainment offered by many Netent Casinos and mobile casinos. Get into the groove as the 70’s have been brought back in Net Entertainment’s Disco Spins also offered in a Touch® version. 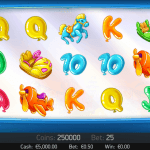 Enjoy this Disco themed video slot wherever you are and at all times thanks to another quality mobile Touch® version created by Netent. Perfect for if the Saturday night fever sets in on the moments you’re not even close to your computer as Disco Spins Touch® can be played on iPhones, iPads and Android devices. Just like the online version of Disco Spins, also Disco Spins Touch® offers you a setting as if you find yourself in a luxurious a night club. The reels and background act as a strobe-lit dance floor, allowing you to enjoy the jive of the 70’s thanks to the colourful outfits, extreme sunglasses and of course the disco balls so recognisable for those times. 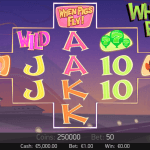 Without any bonus games or whatsoever, Disco Spins is all about the Wilds and Free Spins. Not just a Wild feature, as Disco Spins Touch® includes a special Wild which is received when the colour of the Disco Dancer symbol matches the colour of the dance floor tile. 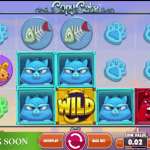 Still not amazed by this Wild feature, maybe you are when I tell you this all new Dance Floor Wild feature offers you up to eight Wild symbols which can appear at any moment on the reels. Packed with animations on every spin and vibrant colours throughout the entire game, Disco Spins Touch® offers you a high quality gaming experience, especially led by two Free Spins features. 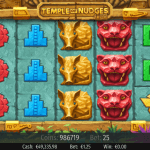 Disco Spins Touch® offers you two different Free Spins modes as you can choose between regular Free Spins and a Disco Spins version once Free Spins are activated. This will happen the moment three or more Disco Ball Scatters appear anywhere on the reels. 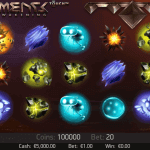 And even though you get the chance to play regular Free Spins too, offering 15 Free Spins with a x3 Multiplier, I highly recommend you to go for the 10 Disco Spins, not only because they are more fun, but mostly because they pay out better. I don’t know about you, but when I spin these disco reels, listening to the amazing music the 70’s are so famous for, I seriously get the idea I missed an amazing time. Although Michael Jackson and the Backstreet Boys lightened up my days when I was a teenager, I’m sure I would have enjoyed the strobe-lit dance floors, the disco balls, the extraordinary sunglasses, although I’m not 100% sure about the outfits and the haircuts. If you agree, get back in time with Disco Spins as founded in one of the many Netent Casino and as a Touch® game in the mobile casinos.